In February 2013, Michael Grimaldi was named Vice-Chair of OPTrust's Board of Trustees. He was previously appointed to the Board in 2012 by OPSEU, and replaces Maurice Gabay who stepped down after eight years as a Trustee. 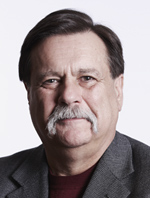 Grimaldi brings 30 years' experience working in the Ontario Public Service (OPS) and at OPSEU. In fall 2012, he was involved in negotiating the agreement between OPSEU and the Government of Ontario that established a five-year funding framework for the Plan and exempted OPTrust from the province's proposed asset pooling for broader public service pension plans. Scott Campbell, a Government of Ontario appointee, is the Chair of the Board after serving as the Board's Vice Chair since 2010.